Gopaldhara Tea Estate, in Darjeeling is planted with high quality bushes which are planted up to 7000 ft and is among the highest in Darjeeling. Here the temperature are very low and the growth is very slow and it has the perfect conditions to make premium quality Darjeeling tea. 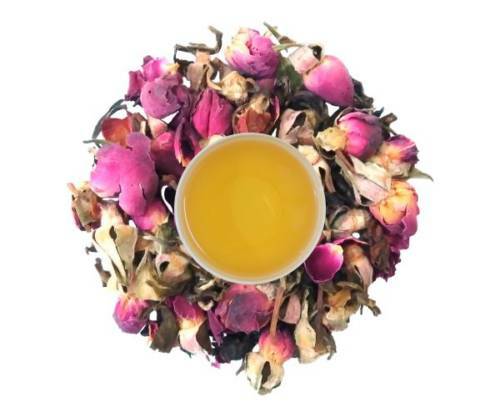 This tea is a blend of Rose Buds and carefully crafted mildly oxidized Darjeeling tea. It brew into a smooth cup with pronounced with rose flavour and has a good balance so that you can enjoy the texture of a fine Darjeeling Tea and the taste and fragrance of Rose. Please consume without adding any milk, sugar and lime as the taste, flavours and aroma are very delicate.